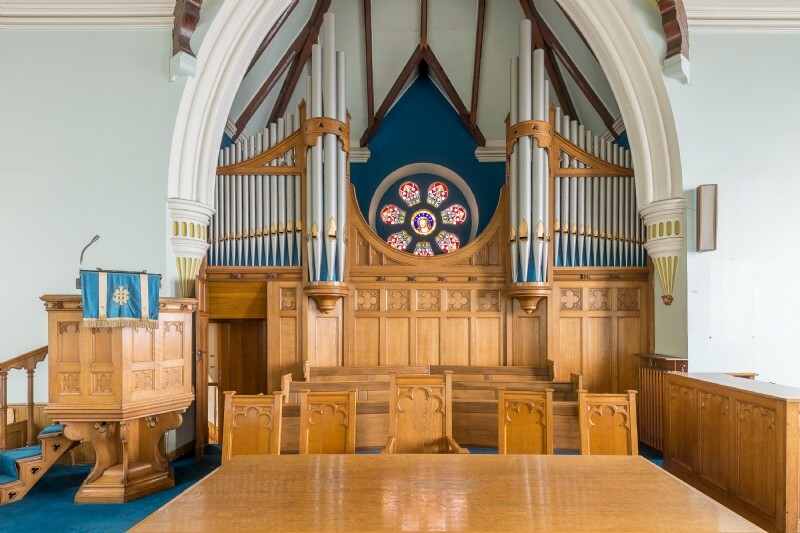 A landmark church in Newport on Tay with wonderful sea views has been put on the market for an asking price of offers over £280,000, offering a unique development opportunity to incorporate its stunning ecclesiastical features. 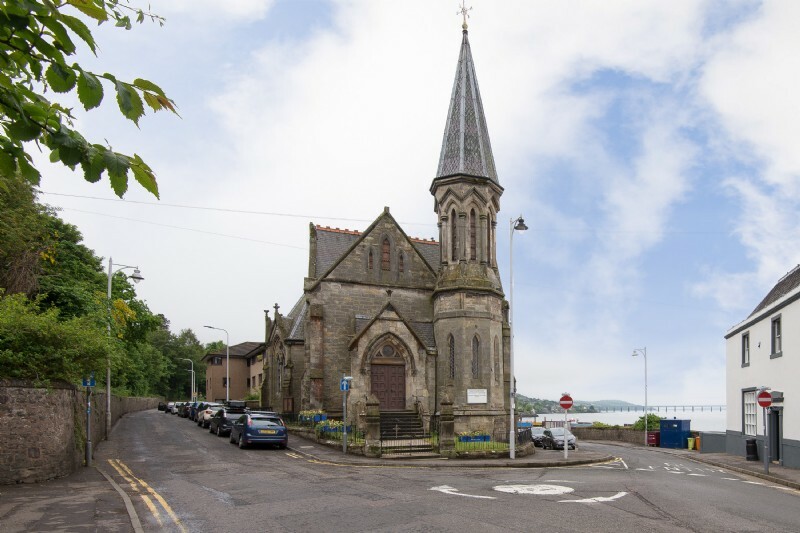 Trinity Church on Boat Road is next to the harbour within Newport on Tay and its elevated position offers great views over the River Tay to Dundee, with the Tay Bridge within sight. 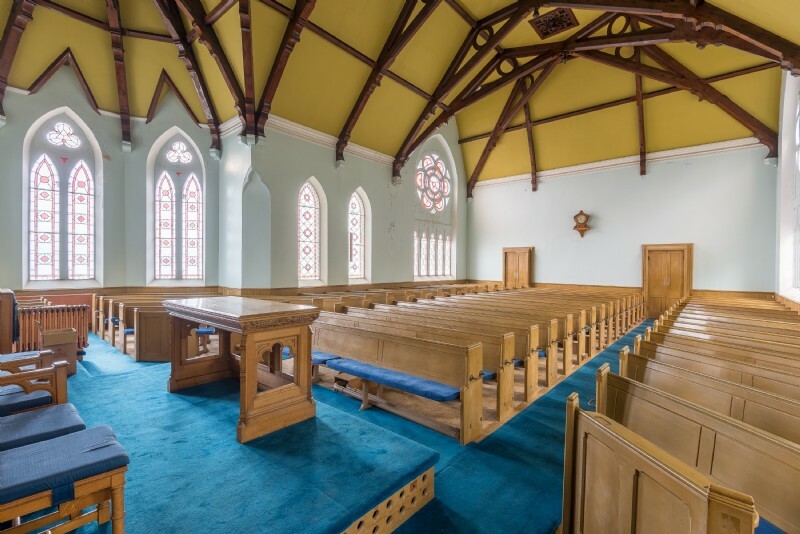 The church is being offered for sale to be converted into impressive self-contained apartments and duplexes. These may take advantage of the many unique features of the church, including the exterior stonework and spire, the stained-glass windows, beamed ceiling, the octagonal alter and organ and high-quality carved wood finishings. Trinity Church was built as a free church in 1881 by C & L Ower and its original design remains intact. The main nave has a high ceiling supported by wooden beams on stone corbels, while the large pipe organ was designed to frame the round rose window on the south-wall of the church. Planning permission has recently been acquired for Phase One, the lower ground floor apartment. A second phase is pending planning permission, and would involve creating two spacious duplex properties and is due for submission to the planning department. However potential buyers could choose to go in a different direction for their plans for conversion and use. Trinity Church, Boat Road, Newport, DD6 8DA, is being sold by Thorntons, an SPC Scotland solicitor estate agent, with a starting price of offers over £280,000.